A German probe into whether Robert Bosch helped Volkswagen Group cheat on emissions tests intensified as Stuttgart prosecutors said they were focusing on three managers at the supplier. While Stuttgart prosecutors didn’t identify the employees, the step indicates that investigators may have found specific evidence in the probe. Previously, prosecutors have said they were looking into the role "unidentified" Bosch employees may have played in providing software that was used to cheat on emission tests. "We have opened a probe against all three on suspicions they aided fraud in connection to possible manipulation in emissions treatments in VW cars," Jan Holzner, a spokesman for the agency, said in an emailed statement. "All of them are mangers with the highest in middle management." Bosch, which is also being investigated by the U.S. Department of Justice, has been caught up in the VW diesel scandal that emerged in 2015 over allegations its employees may have helped rig software that helped the carmaker to cheat emission tests. Earlier this year, Stuttgart prosecutors opened a similar probe into Bosch’s role in connection with emission tests of Daimler cars. The Stuttgart probe is running parallel to the central criminal investigation in Brunswick, closer to VW’s headquarters. That investigation is targeting nearly 40 people on fraud allegations related to diesel-emission software, including former VW CEO Martin Winterkorn. Prosecutors’ interest extends to multiple units in VW Goup -- including luxury brands Audi and Porsche. 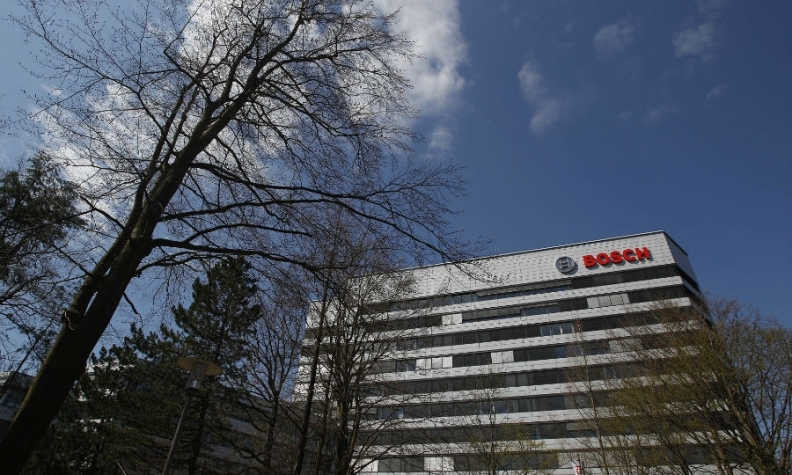 In addition, Stuttgart prosecutors are also reviewing a third case related to Bosch’s cooperation with Fiat Chrysler Automobiles on software for diesel engines.